A top London school has banned one of its Muslim students from wearing the niqab, the full-face veil. 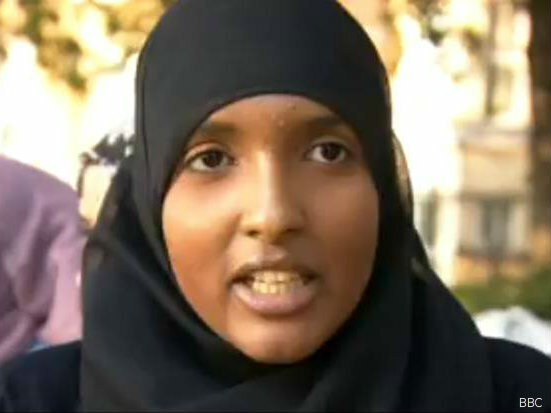 Camden School for Girls has banned the 16-year-old from studying for her A-levels, British school leaving exams, if she continues to wear the traditional Islamic veil. Although the school has no official uniform, it has said that the niqab goes against its appearance policy. The girl’s sister told the London Evening Standard that the school’s decision was “very upsetting” for her family. She said: “My sister just wants to wear the niqab for her own reasons and attend a school. The school has issued a statement saying: “We have an appearance policy and students at the school may wear what they wish subject to any requirement in the interests of teaching and learning, health and safety. However, an anonymous protester has now launched a petition calling for the school to change its policy. The petition states that the girl was allowed to sit exams this summer wearing the veil, and that past students have also been able to wear the Niqab. Previously, London Mayor Boris Johnson said that full face veils in school were “completely wrong” after it emerged that some schools had forced children as young as 11 to wear the niqab. Guidelines from the Department for Education allow schools to set their own uniform policy and enforce bans on certain clothing on the grounds of learning, security or safety.